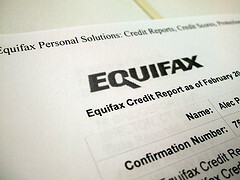 You should really check your credit reports at least once a year. If you don’t believe us, you should check out the results of the Federal Trade Commission’s latest study, which shows just how rife with errors the reports from Experian, Equifax, and TransUnion can be. The FTC looked at credit reports for 1,001 U.S. consumers and found that one-in-four (26%) people identified at least one material error among their credit reports from the three bureaus. And we’re not talking about misspelling of names, or incorrect addresses. Per the FTC, these alleged errors are in regard to information used to generate credit scores, including the number of collections accounts, the number of inquiries on a credit file, the number late or missed payments, among others. But not all of these alleged errors were corrected by bureaus. The study found that 206 of the 260 consumers who had alleged errors in their reports ultimately had that issue corrected, and only 129 consumers eventually saw a change in their credit scores as a result of the correction. Even then, most changes to credit scores were in the under-20 point range, generally not significant enough to impact one’s ability to borrow, says the FTC. Overall, the study found that around 5% of consumers saw corrections to their credit reports that resulted in a credit score swing of at least 25 points, putting them into a better credit risk tier and making them more attractive to lenders. While 5% may not seem like a huge number, when you consider the sheer size of the U.S. workforce, this means that there are several million people with errors on their credit reports that could be preventing them from getting the credit, auto loans, or mortgages they actually merit. Remember, you can check each of your three credit reports for free once every 12 months via annualcreditreport.com.